After a week at Burning Man or many hours spent with mutiplayer online role-playing games, are we more or less ready to engage in the task of tikkun? 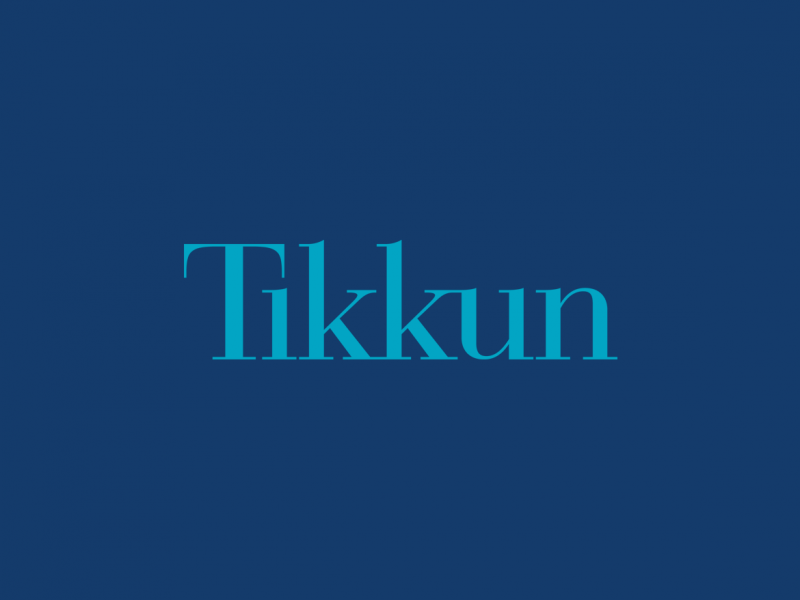 Eager for Tikkun’s take on the 2012 election and other current events? 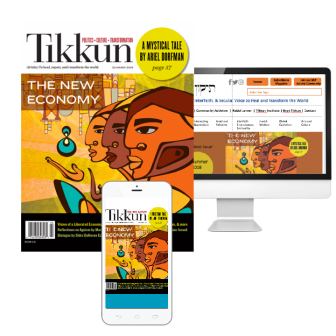 Read the timely articles on our web magazine site (tikkun.org) and the blog posts on Tikkun Daily (tikkun.org/daily). The mainstream media have frequently framed their discussions about U.S. and Israeli policy toward Iran as a debate between U.S. President Barack Obama and Israeli Prime Minister Benjamin Netanyahu about whether to strike Iran immediately or to wait to see if sanctions work. This narrative has set the framework for a march toward war by excluding from the discourse the nonviolent option: that we not use coercion to achieve our ends. It is probably impossible to imagine ourselves in the place of the Jewish survivors of World War II and the Holocaust immediately after the war, but this is exactly the task that Yehiel Grenimann, the son of survivors, set for himself. Yanosh and Eva, his central characters, were hidden on the Aryan side of Warsaw, thanks to their connection with the Polish nationalist underground. Yosef Borowski, known as Bora, the third major protagonist, was a partisan leader during the war. The novel begins with the entry of the Soviet army into Warsaw and ends with Yanosh and Eva’s imminent arrival in Australia. Who knew that by 2012 the world of classical music would be so wonderfully eclectic, unpredictable, and adventurous? Who knew that composers would freely borrow from folk and popular styles, as well as ancient traditions? Listeners are welcoming this trend with relish, turning toward this “new” music for inspiration, soul nourishment, and a connection to ancient roots. Why do some people sit at a computer for hours and hours every day, building their homes in a fantasy world, rejecting reality even to the detriment of their health and relationships? Perhaps they reject the real world for good cause and the solution is for us to work to make our flesh-and-blood world better. It’s extraordinary to see how different the contemporary American political climate is for Jews than it was seventy years ago. Today, the “Israel lobby” is widely regarded as all-powerful, and all but one of the 2012 Republican Presidential contenders—along with the Democratic incumbent—have eagerly sought Jewish support. In the 1930s and early ’40s, Jewish lives were barely worth a mention for most Americans. The authors of Millions of Jews to Rescue and Irgun Zvai Leumi address this subject from opposite vantage points on the political spectrum. The Arab Spring has challenged Western stereotypes of Middle Eastern civil societies. We’ve seen insatiable demand for democracy in a region that most analysts had written off as politically passive or hopelessly brainwashed by authoritarianism and misogyny. We’ve seen formalized instruction and training on how to engage in nonviolent protest. Tablet & Pen and Out of It , two recently released works of literature, both written before the Arab Spring, introduce Westerners to an array of fictional characters and real people who exemplify the creativity, agency, and diversity that have always been present in the Middle East but have received scant attention in Western media.